Thermomix® from Vorwerk is a unique all-in-one kitchen appliance that will change the way you cook by helping to unlock your full culinary potential while saving you time and effort. Its compact design takes up only slightly more surface area on the worktop than an A4-sized sheet of paper, but packs enormous power, versatility and innovation. Thermomix® saves you time and can help get dinner ready in minutes. It can also save you money, declutter your kitchen and improve your lifestyle. The possibilities are endless. One compact, versatile appliance that combines the functions of twelve kitchen appliances in a cleverly designed device. Thermomix® Guided Cooking takes you step by step through recipes to achieve perfect results. 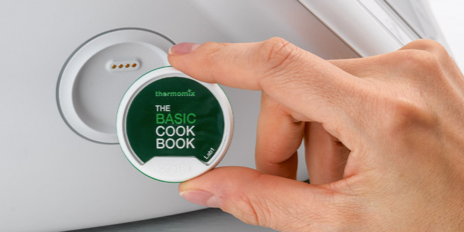 Time and temperature settings are set automatically by your Thermomix® – cooking has never been easier! 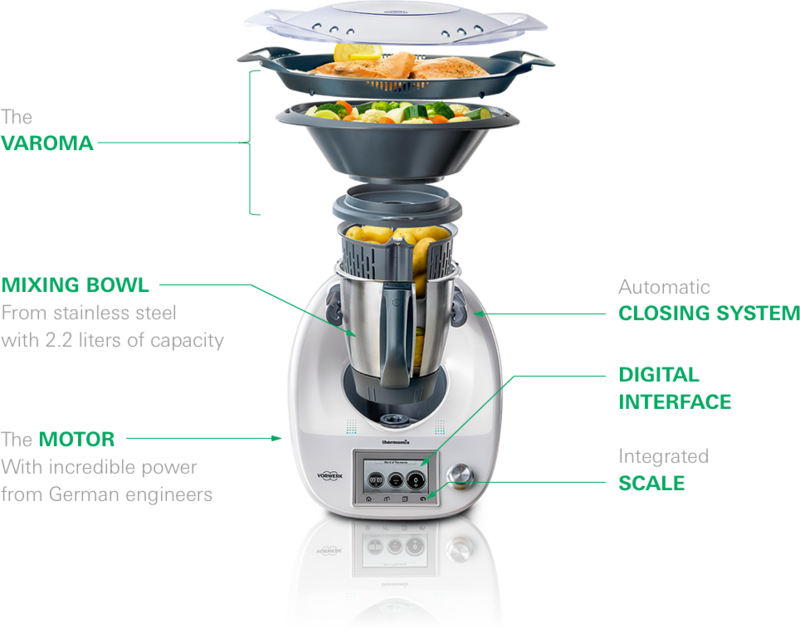 You can also take greater control over your food and adapt or create your own recipes with manual cooking. Everything can be cooked just the way you like it.